New from factory, of course perfect conditions, first quality production. Complete with instructions (front - rear). 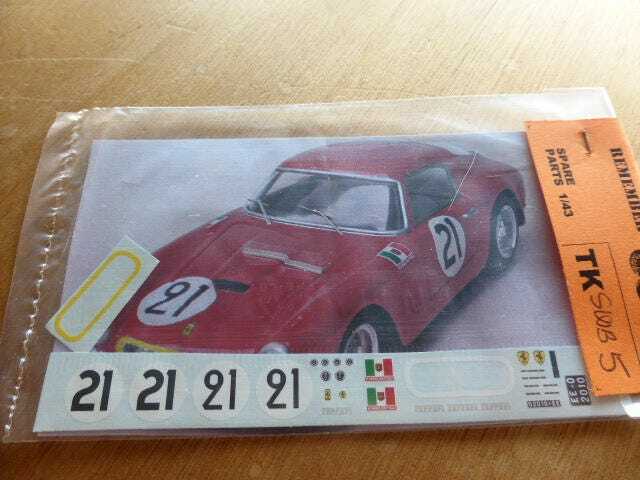 These Madyero decals for Ferrari 250 GT SWB's are the most correct around. A thoroughful research has been carried checking against original photos to correctly copy the tiniest details. Correct registration numbers and many other details.